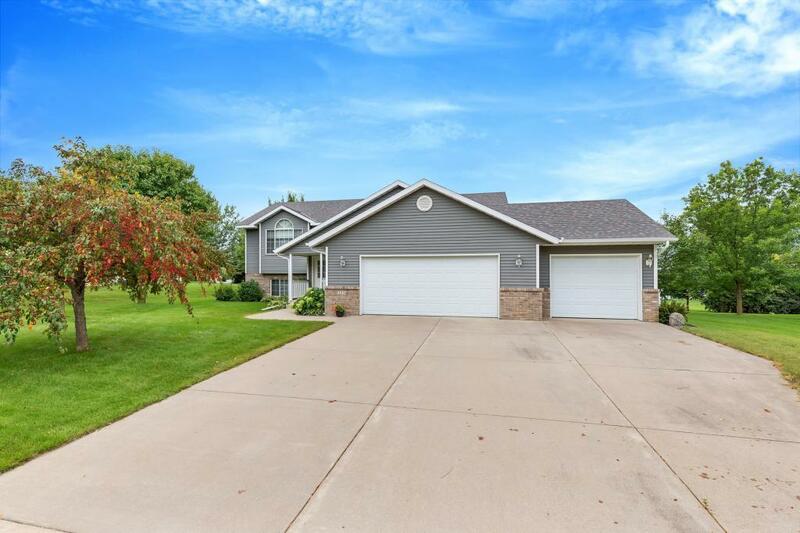 Huge split level in a great location. Basement is roughed in for a 4th bedroom which could easily be added. This home will not disappoint. Vaulted ceilings, spacious master bedroom with oversized walk in closet, abundance of kitchen cupboards and a beautiful brick fireplace. The seller is the original owner and pride in ownership shows. Enjoy the deck and pristine backyard. Large 3 stall garage. Inside every room is spacious. Over 500 sq ft of storage space. Must view to fully appreciate!